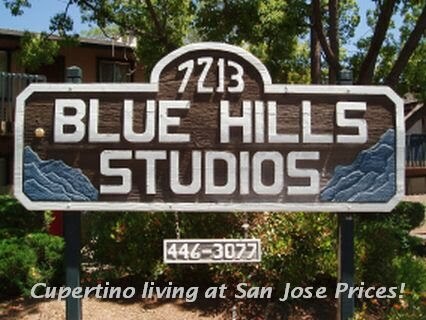 Blue Hills Studios in San Jose: Happy Halloween! We don't seem to get many "trick or treaters" here on Halloween, so if this is a holiday you enjoy, you may just want to go for a nice walk through the neighborhood to enjoy all the costumes and to see the families enjoying the holiday. It's tough here, because the outside lights can't be controlled individually, so you can't turn your light off if you don't want to participate, and having a light that's on doesn't necessarily mean you want to. If you want to take your chances and try to lure in the little ghosts and gobblins on their quest for more candy, I recommend putting out a door mat or a sign that lets everyone know you're participating. Likewise, if you don't wish to have trick or treaters visiting your door, I would recommend not putting any decorations that are visible outside your home. 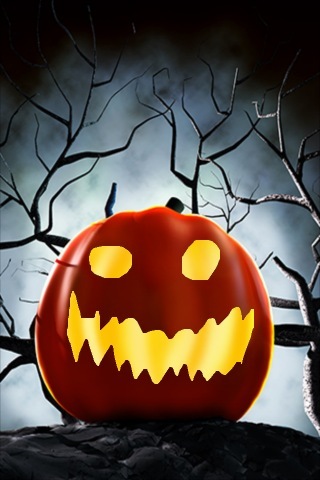 Here are some halloween decorating ideas for apartment dwellers from ehow.com. Buy Halloween dish and bath towels. These take up no extra room as they merely replace your normal dish and bath towels. Place orange decorative lights around your windows. These lights are the same as Christmas lights except that they are orange instead of red, green or white. Find these lights at craft, department and grocery stores during Halloween season. Find Halloween stickers and decals and place them directly on your window. Place them inward so that you and guests can see them while in your small apartment, or outward so those passing by can enjoy your decorations. Purchase a Halloween rug. If you have carpeting, consider a Halloween bath mat instead. Find these decorative rugs at department stores as Halloween approaches. Hang Halloween buckets and “trick or treat” bags on the walls, as a child-like way to decorate for Halloween. Light orange, Halloween and fall scented and colored candles. Scented candles are for more than aesthetic value. Certain smells can bring back memories of childhood. Light these throughout the month of October to give your entire apartment the feel of Halloween. Be very careful using any candles in your home, and never leave them unattended while they are burning.